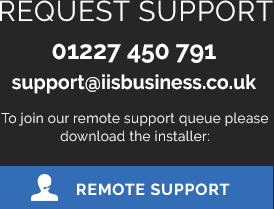 Get truly proactive with your IT support using our 24/7 Server monitoring software. Because we believe this service is important to all businesses, we have made it available as a separate service as well as part of our Managed IT Service. Our software will be constantly checking your systems 24/7 for problems silently in the background. We can identify potential issues, intervene when necessary saving you money and unwanted downtime giving you complete peace of mind. Hardware. Around the clock monitoring for hardware utilization and health. Services. Ensure application services are running without any issues. Storage. Monitor physical drives health and raid status. Events Log. Query Event Logs and get alerted to events from bespoke applications. Security. Monitor servers for any suspicious activity, viruses and malware. Backup. Manage backup jobs and verify the backup files integrity. Maintenance. Perform scheduled preventive server maintenance. Application Management. Managed server applications and roles.